Congratulations on your decision to purchase a new home! Your first step toward buying your new home will be to analyze your needs. Your real estate agent can help you determine exactly what you want your new home to look like and how it should function for you and your family. First, write down why you are looking for a new home. For example, are you currently renting and would like to begin building equity? Maybe you recently married and have outgrown your current residence. Or, maybe you received promotion that requires you to move to a new city. These factors will all have a bearing on how you approach your home search. Second, establish a time frame for buying your home. Depending on your reasons for wanting a new property and the current state of the market in the area you are looking to buy, you should be able to come up with a rough guideline. Finally, you probably have a mental picture of what your dream house looks like. Turn these ideas into two lists: one should describe your dream home and the other should list features that are absolute must haves. In a perfect world, your new home would fulfill both lists 100 percent, but it is more likely the two lists will turn into a list of priorities, as you get clearer about what you want and what is available. Now that you know what you want in a home, you need to find out what you can afford. There are two ways to go about this: prequalification or pre-approval for a loan. Either way, you can contact your agent about choosing a mortgage company. Prequalification is the simpler of the two processes. It can even be done online or over the phone. When you contact a mortgage company, they will ask you for some basic information about your finances ? how much money you earn, your debt load, etc. They will take this information and give you a rough estimate of how much of a loan you might qualify for. Pre-approval is more a more in-depth process. The lender will perform an extensive check of your finances including your credit rating, whether or not you’re a first-time buyer, what your debt load is, how much money you have to put as a down payment, etc. This figure will be a much more reliable estimate of what you can afford. In most markets, pre-approved buyers are preferred over those that are merely pre-qualified. Being pre-approved lets the seller know you have gone through an extensive financial background check and there should be no unexpected obstacles to you buying their home. Now that you have your list of needs and wants and know how much you can afford to spend, it’s time to look at some houses, right?! Well, don’t forget, people don’t just buy a house; they buy the neighborhood the house is in. Think about that…if you found the perfect house but it was in a neighborhood that was not to your liking, would you make an offer on it? You will need to make another list for the type of area you want to invest in. Consider things like drive time to work and major destinations, amenities such as swimming pools, tennis courts, parking, etc., area schools and the demographics of the surrounding area. things like drive time to work and major destinations, amenities such as swimming pools, tennis courts, parking, etc., area schools and the demographics of the surrounding area. At this point you will have a good idea of what you can afford and the type of area you will want to invest in. Taking that information into consideration, you are ready to embark on your home search. If you don’t know much about the city to which you are moving, you will want to start by finding areas that meet your criteria and then narrowing your search to particular properties in those areas. There are a few ways to go about this. Possibly the most efficient way to find homes is to allow your real estate agent to keep you up-to-date on available properties that meet your criteria, and then allow your agent to screen them for you. When your agent presents you with a home that interests you, he or she can arrange for you to tour it at your convenience. Now that you’ve found your dream home, it’s time to make an offer. Your real estate agent will help you determine the offer price by reviewing recent sales of homes that are similar in size, quality, and conveniences and amenities. Your real estate agent will advise you on how to create an offer that will have the best chance of being accepted. After consultation with you, your agent will create a written contract with your offer that meets all the local and national legal requirements. This document details what needs to be done by both parties to execute the transaction. It should protect the interests of both parties and will ensure your financial position as the buyer. Remember the legalities of this phase are very important. If you have any questions or concerns, be certain to address them with your real estate agent right away. Once your offer is made you may need to negotiate with the seller to reach an agreement. Keep in mind almost everything is negotiable when you are buying a house. This can give you a great deal of leverage in the buying process, that is, if you have adequate information and you use it in an appropriate manner. Counter offers happen frequently. Remain in close contact with your real estate agent so you can quickly review any changes from the seller. Remember…bargaining is not a winner-take-all deal. It is a business process that involves compromise and mutual respect. After your offer is accepted, your agent will help you coordinate the activities of service providers and serve as your advocate when working with them. Your agent will make sure these vendors have access to the property to perform their procedures and will oversee the execution of those procedures on your behalf. One service you may need is a home examination. An inspection of the property, the foundation, and the surrounding environmental may be needed to make sure the property meets the standards set forth in your written agreement. If there are issues or inconsistencies brought to light during this time, it may delay or even nullify the contract. Insurance is another item that will need to be taken care of. Experts recommend you obtain title insurance equal to the full replacement value of the home. This kind of insurance is purchased at closing and protects the buyers in the unlikely event that the title to the property becomes invalid. Homeowners insurance protects against theft, fire and liabilities. It often includes things such as bicycles, furniture and jewelry. Flood insurance is generally only necessary for flood-prone areas. The federal government issues this kind of insurance. In addition to aforementioned types of insurance, you may want additional assurance for your new home. Home warranties are one way to protect yourself after you buy. Warranties for new homes protect against plumbing, wiring and structural defects. Existing home warranties cover things like major appliances and structural problems. Having these procedures done in a timely and professional manner is a must. Investigate each service provider to make sure they are reputable and have a clean operational history. Your agent’s experience in this area will be invaluable. As the closing date (otherwise known as settlement or escrow) draws near you will need to be in contact with the escrow company or closing attorney and your lender to make sure all necessary documents are being prepared and will be delivered to the correct location on the appropriate date. Find out what form of payment you will need to bring to the closing for any unpaid fees. Make sure that your payment is made out to the appropriate party. These days, buyers and sellers don’t even have to be in the same room to close a deal. Thanks to computer automation, signed paperwork can be delivered overnight to both parties. 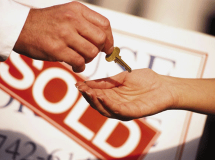 Closing is where ownership of the home is legally transferred from the seller to the buyer. It is a formal meeting that most parties involved in the process will attend. Closing procedures are usually held at the title company’s or lawyer’s office. Your closing officer coordinates the document signing and the collection and disbursement of funds. In order for the closing to go smoothly, each party involved should bring the necessary documentation and be prepared to pay any related fees (closing costs). There may be more than one form of acceptable payment for your closing costs so ask the closing officer which form of payment will be required and to whom it should be paid. Sellers sometimes pay for a portion or all of the closing costs, depending on local market conditions, terms of the purchase contract, and the seller’s cash and timing considerations. Any such concessions should be acknowledged in writing. Most lenders will allow a credit from the seller to the buyer for the non-recurring closing costs. However, they usually won’t allow a credit that reduces the amount of the buyer’s down payment or any of the buyer’s recurring costs, such as expenses for fire insurance premiums, private mortgage insurance (PMI) or property taxes. Now that you have taken ownership of it you will need to have your electricity, cable and phone set up. Also be aware of typical homeowner expenses such as Neighborhood Association fees, landscaping costs, and annual taxes and budget for them accordingly.